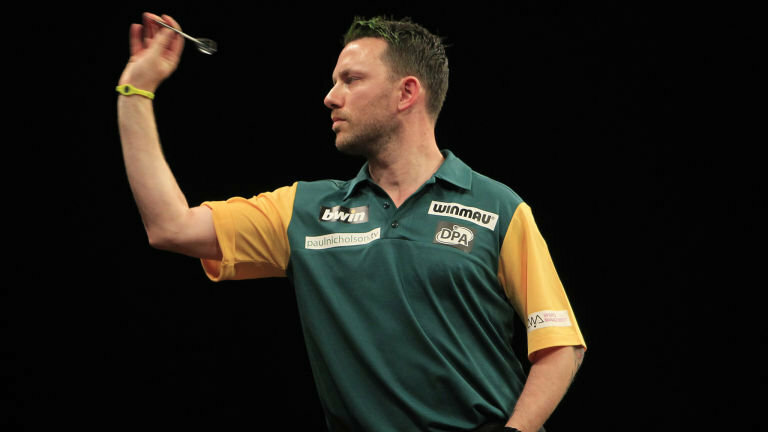 Former Players Championship Finals winner Nicholson will return to the European Championship for the first time in five years after securing his place in the 32-player field. A semi-finalist in June's Gibraltar Darts Trophy, Nicholson held on to 32nd place in the European Tour Order of Merit to seal his European Championship spot. Although Van Gerwen is a huge favourite going into that tie, and an odds-on favourite to claim the title, Nicholson insists he is excited about the chance to lock horns with the sport's top star in Dortmund. "There's no pressure on me. I've got preparation time - ten days to get myself right and I'm really looking forward to the prospect of playing against Michael, especially when he's in this form.